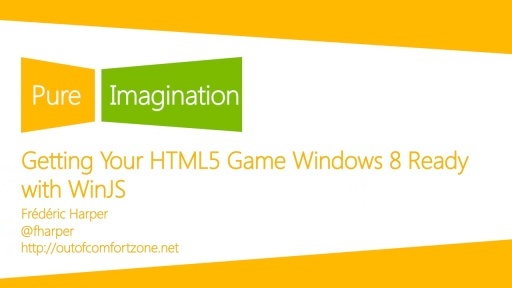 Building games is really exciting, but if you really want to give the best experience to your users, you also need to extend it thru Windows 8 specific features. Think about the live tiles, contact contracts, snap view, and more nice to have features. Last but not least, see how it's simple to add some Ads in your game if you want to make it free, but still make money out of it. I don’t like Open Source‚ and you shouldn’t like it either!